African American and Diaspora Studies (AADS) and the Callie House Research Center for the Study of Global Black Cultures and Politics is committed to the pursuit of knowledge, research, and reform. To that end, we offer an interdisciplinary, cross-cultural, and comparative study of the lived experiences of Blacks dispersed throughout the world from the continent of Africa, a dispersion (and its causes) referred to as the African diaspora. AADS focuses on several geographic areas: Africa, the Americas (North & Latin America), the Caribbean, and the Indian Ocean area. The program examines equally the interactions of those diverse geographic areas, whose African-descended multiracial and multicultural inhabitants make up the African diaspora, with Europe. The program recognizes as well that there is a growing population of Blacks dispersed throughout Europe, that is, Black Europeans; hence we are equally committed to exploring intellectually Black Europe and the particularities of the Black European experience. While developing students’ analytical and critical thinking skills through the exploration of the Atlantic World, African American and Diaspora Studies as a field, contributes to broader debates about race, religion, gender, culture, class, politics, sexuality, and color. As an intellectual endeavor, AADS encourages the development of strong analytical and critical thinking, oral communication, and writing skills, as well as the ability to approach issues from multiple perspectives. African American and Diaspora Studies combines coursework, study abroad, service-learning, and internship with personalized faculty-student relationships, conferences, and a lecture series to create a dynamic, enlightening, and life-defining intellectual experience. African American and Diaspora Studies advances research and scholarship within the growing field of African diaspora studies via faculty publications, our annual Callie House Lecture, and our Works-In-Progress symposium series. The program also sponsors the biannually published journal, Palimpsest: A Journal on Women, Gender, and The Black International as well as the scholarly student organization, Sankofa: Fellows in African American and Diaspora Studies. Courses in African American and Diaspora Studies will allow you to better grapple with the ideas of plurality and diversity in our multicultural and multiethnic society; such ideas and ideals are integral to understanding today’s complex global realities. The contributions of people of African descent are considerable human achievements in the areas of literature, philosophy, science, music, politics, and visual culture. African American and Diaspora Studies offers a range of interdisciplinary courses such as: Race Matters; Reel to Real: Film Aesthetics and Representation; Mystery, Murder, and Mayhem in Black Detective Fiction; Race, Mixed Race, and “Passing”; Slavery and Public Memory; Diaspora Feminisms; Popular Culture and Black Sexual Politics; Black Masculinity; Blacks in Latin America and the Caribbean; Black Diaspora Women Writers; Making of the African Diaspora; Atlantic African Slave Trade; Blacks in the Military; Black Issues in Education; Black Women and the Politics of Blackness and Beauty; Black Paris-Paris Noir; Soul Food; Black Girlhood: History, Performance, and Counter-Narratives; Capoeira: Afro-Brazilian Race, Culture, and Expression; and Haiti: Freedom, Democracy and Black Resistance. The program strongly encourages students to pursue a second major. Hence, students who concentrate in AADS are also allowed to take advantage of course offerings in the departments and programs of Anthropology, English, French, History, Political Science, Latina and Latino Studies, Religious Studies, Sociology, Women’s and Gender Studies, to name but a few. In addition to the opportunity to major or minor in African American and Diaspora Studies, students who exhibit advanced intellectual curiosity and academic excellence can be admitted to the AADS Honors Program. AADS students in the honors program must maintain a GPA of least 3.5 in all AADS coursework and a cumulative GPA of 3.3. They are expected to write and defend an Honor’s Thesis that students develop in concert with the Director of Undergraduate Studies and a thesis committee comprised of AADS faculty and faculty affiliates. Because the African diaspora has so deeply influenced the making of the world today, it is an ideal field for students wishing to work in public and private organizations that investigate issues of far-reaching significance and consequences in the United States and beyond. Moreover, African American and Diaspora Studies also uniquely prepares students for positions in many of America's (and the world’s) premier museums, cultural centers, and historic sites, as well as in the array of industries, such as advertising, film, and music. Concentrators in African American and Diaspora Studies go on to pursue graduate studies in a variety of fields as well as careers in law, government, journalism, business, K-12 and post-secondary education, engineering, and public service, as well as medicine and public health. Damon Cole ’16 majored in African American and Diaspora Studies. He was accepted into Tulane University’s Law School for fall 2016. Tarique Shotwell '15 majored in African American and Diaspora Studies. He was accepted into Teach for America in New Orleans, Louisiana. Yelana Sims '15 majored in African American and Diaspora Studies. She received a Master’s degree in Women’s and Genders Studies from George Washington University in 2017. She is now pursuing a PhD in African American Studies at the University of Massachusetts-Amherst. Niya McKray '14 majored in African American and Diaspora Studies. 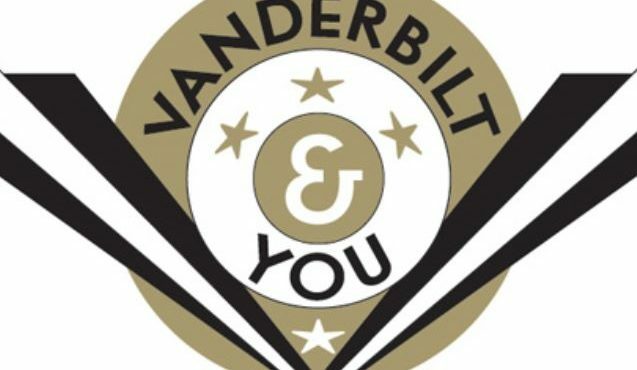 She is furthering her education at the Vanderbilt University Law School. Nate Marshall '12, a double major in African American and Diaspora Studies and English, studied abroad on our Cape Town, South Africa program. He won a Fulbright in the spring 2012 to serve as a teaching assistant in South Africa. He declined the Fulbright in order to pursue a fully-funded Masters in Fine Arts (MFA) at the University of Michigan. An accomplished poet, he is featured in the critically acclaimed documentary, Louder Than a Bomb. He is currently a Senior Lecturer in English at Northwestern University. The Program in African American and Diaspora Studies and Research Center at the University of Cape Town allows students to explore a range of courses in the humanities, music, fine arts, commerce, sciences, engineering, and African languages. Interested students should contact the Global Education Office for more information on international programs and financial aid.